In uncertain times, operators are often faced with sudden changes in market and economic conditions. This calls for a quick assessment of drilling options, calculation and mitigation of risks and making the right investment decisions for optimal portfolio performance. The stakes are high when determining whether to keep going or delay a campaign, or change the well construction plan altogether. Likewise, business critical decisions need to be made during portfolio review time regarding which assets to invest in, which ones to run and what to divest. A decision support system like Petroleum Investment Lifecycle ManagementTM leverages asset-level understanding, enabling you to effectively test and select what-if scenarios for efficient evaluation by corporate planners. This webinar discusses solutions designed to connect subsurface professionals with their surface-focused counterparts. Targeting Aries® users specifically, the webinar shows how to elevate well economics knowledge to support field-level planning and improve portfolio management. Alif works with E&P companies and software partners to provide solutions via Petroleum Investment Lifecycle Management™, a fully integrated economics, planning and decision support framework. He has experience using emerging technology to generate value-driven results. 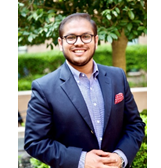 Alif has a dual bachelor’s degree in Geosystems and Petroleum Engineering from UT Austin, with an Energy Management certification from McCombs School of Business. Kim is a technical solutions advisor with over 15 years of experience in product design, solution deployment and project management across multiple domains. 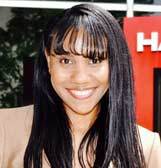 She engages with internal and external customers to optimize business processes, production and economics by employing the latest industry technologies. Learn how to break down silos with a fully integrated economic and planning solution for better collaboration between asset- and corporate-level planning teams. Understand how to continuously calibrate surface and subsurface risks with economic and commercial factors.